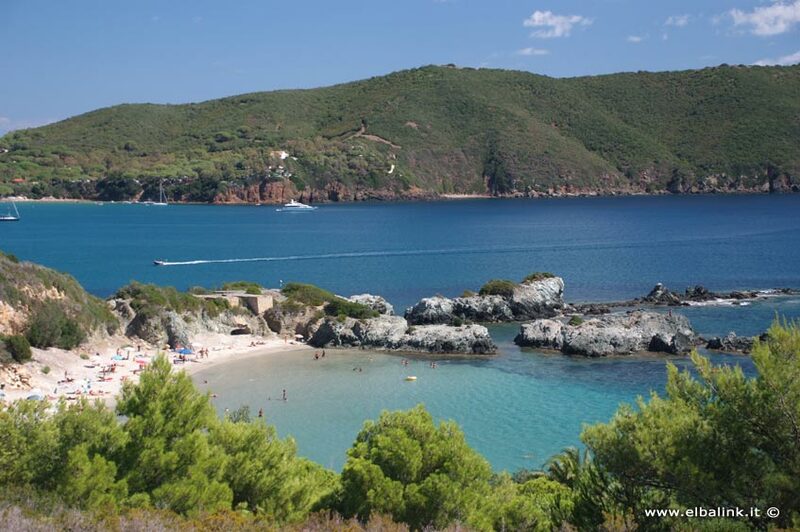 Do you wish further information, or would you like to book a holiday on the Island of Elba? The beach in Lacona is perfect both for those who want all the comforts and for those with small children. 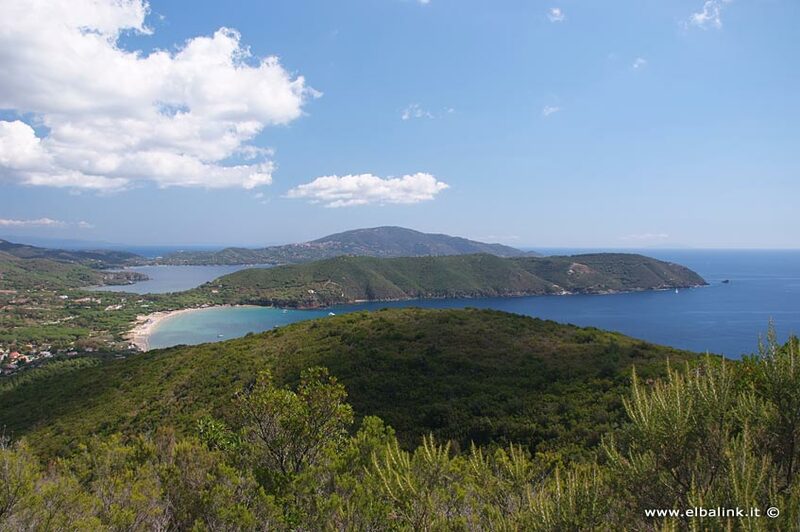 On the southern side of Elba, it is famous not only because it is one of the longest on the island - 1 kilometre long - but also because of its beautiful, fine sands dunes and the water that is shallow till quite far out. There are small pine groves behind the beach.. 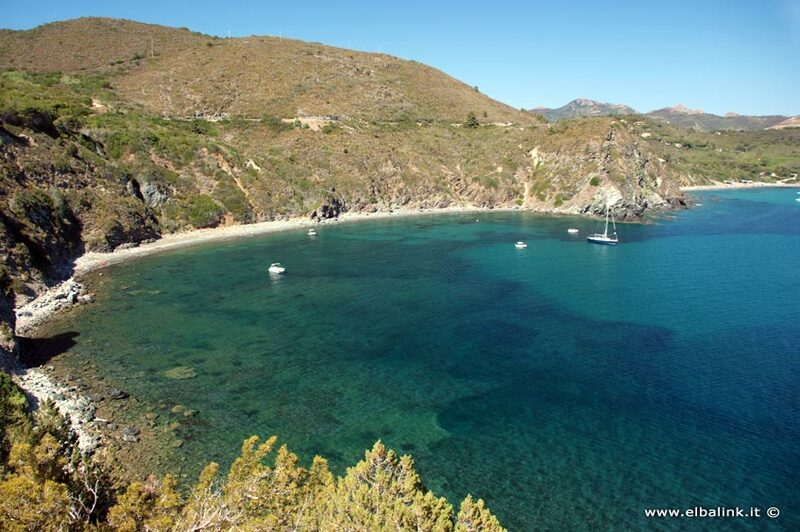 The bay is facing the island of Montecristo, and with Capo Stella on its left and Capo Fonza on its right, it is a perfect, natural setting for underwater swimming. Part of the beach is free, while other parts are run by bathing establishments, where you will find bars, pizzerias, windsurf, sailing and motor boat rentals, and diving centres. Other facilities in Lacona are: a bank, a chemist's, a police station, market, newsagents, bread and cake shops, ice cream parlours, takeaways, fishmonger's, various handicrafts shops. 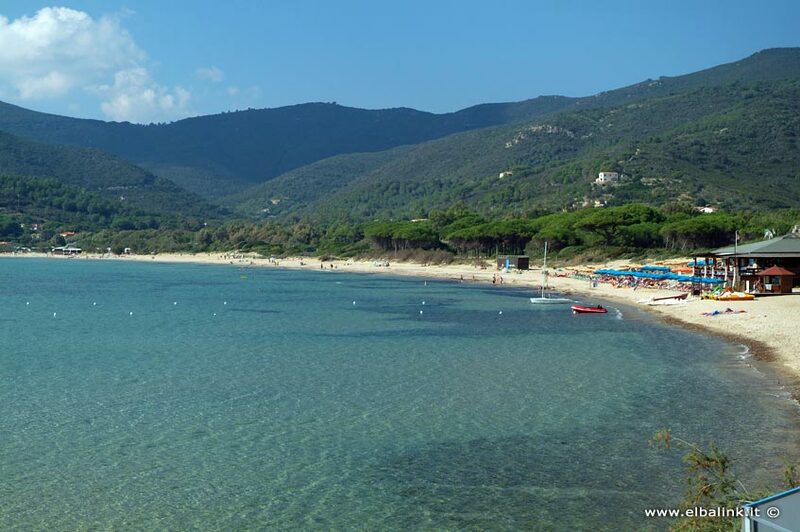 During the summer the traditional open air market is on Thursday evenings and Sunday mornings..
Laconella Beach : A beautiful, quiet sandy beach about 250 metres long completely free, no facilities available. Perfect for those who love quiet and peaceful places where nothing has been touched by man. The small promontory of Punta Contessa with its interesting inlets is on the left, and the promontory of Capo Fonza is on the right. Margidore Beach This beach is 800 metres long, and consists of black, smooth pebbles. 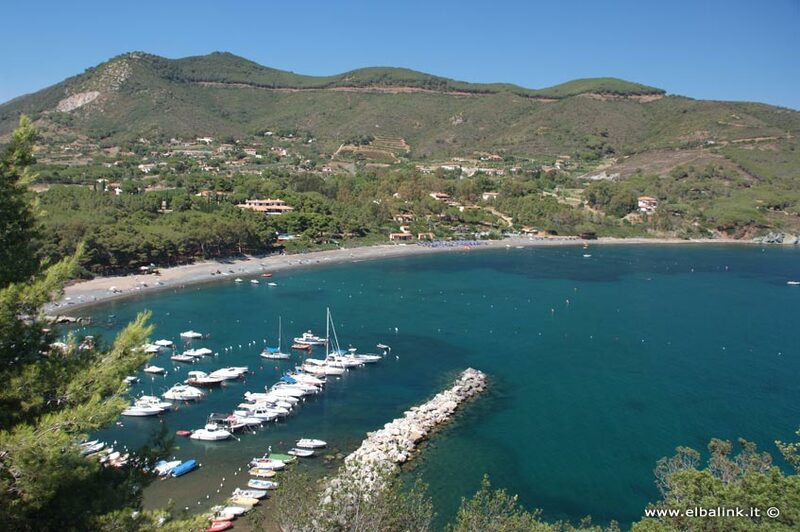 It is facing Capoliveri, and on the right there is a wharf where small boats can either be hauled or anchored. Acquarilli Beach There is a sheer drop down from the cliffs behind this beach that consists of both sand and small pebbles. The water is so clear here that you can admire the sea bed from the car park above it. No facilities. 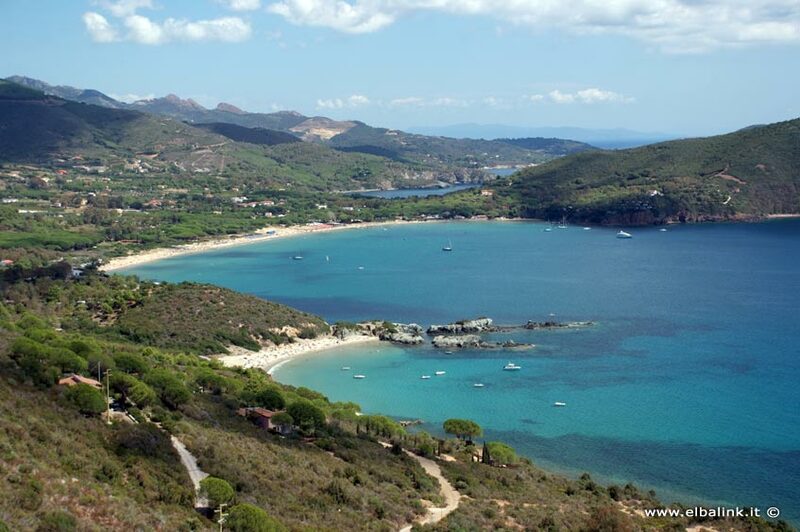 There are several other beaches in the Capo Stella peninsula, but you can only reach them by sea. From 19/04 to 30/06 and from 01/09 to 30/09 from 20€ per n .. Starting from € 55 per night for a stay in apartment or bu ..